Born in Queens New York in 1940, Gerald A. “Jerry” Lawson was an computer engineer and a pioneer in console videogames. As a young black man working for Fairchild Semiconductor, Jerry Lawson designed and developed the Fairchild Channel F videogame console. The Fairchild Channel F is the first machine to use preloaded ROM cartridges. Jerry Lawson invented the videogame cartridge. Generally when I hear the word cartridge now, it is referring to a printer cartridge or a bullet casing. My ears still perk up a little bit. I can remember going to Crazy Eddie with my dad and being excited that I was able to say a word with so so much going on in it. As a small child the word cartridge seemed to have so many syllables that I would get almost lost in the word itself. I remember large wooden barrels at Crazy Eddie filled with brightly colored boxes full of adventure, sports and action by way of these cartridges. In recent years the cartridge has gone out of favor with console makes due to cost of production and lack of need. With the use of cheap disposable of disc media, and direct downloads, the cartridge these days nothing more than a memory. 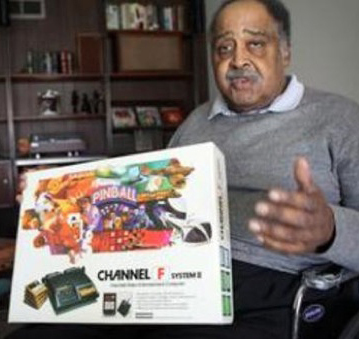 However, the fact remains that the golden age of home consoles was built on the ideas of Jerry Lawson. As reported by Digital Press, Jerry Lawson died Saturday, April 9, of unspecified causes. Unwinnable is saddened by his passing.